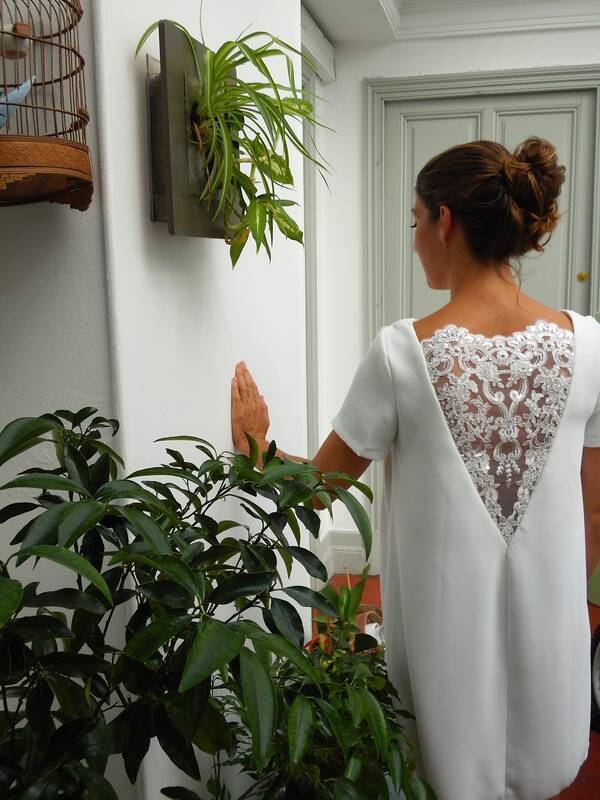 Short summer dress in crepe. 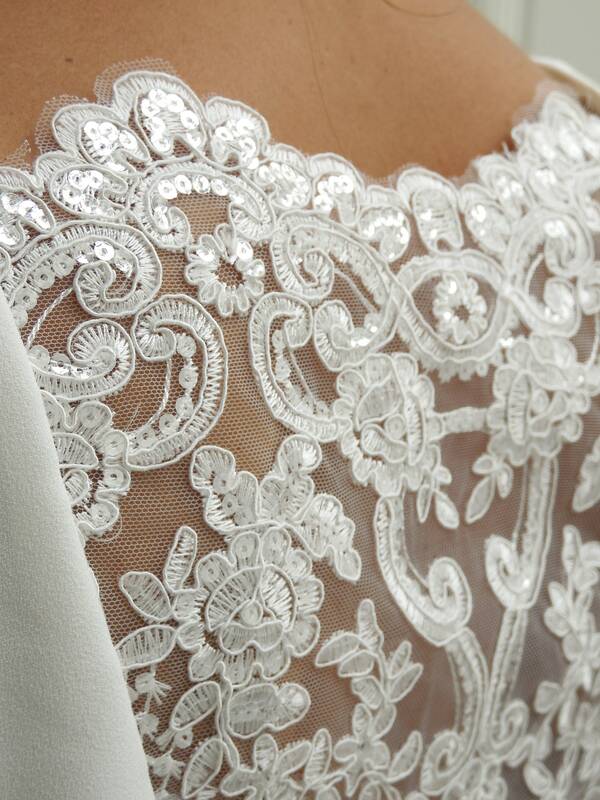 Perfect for a short bridaldress. 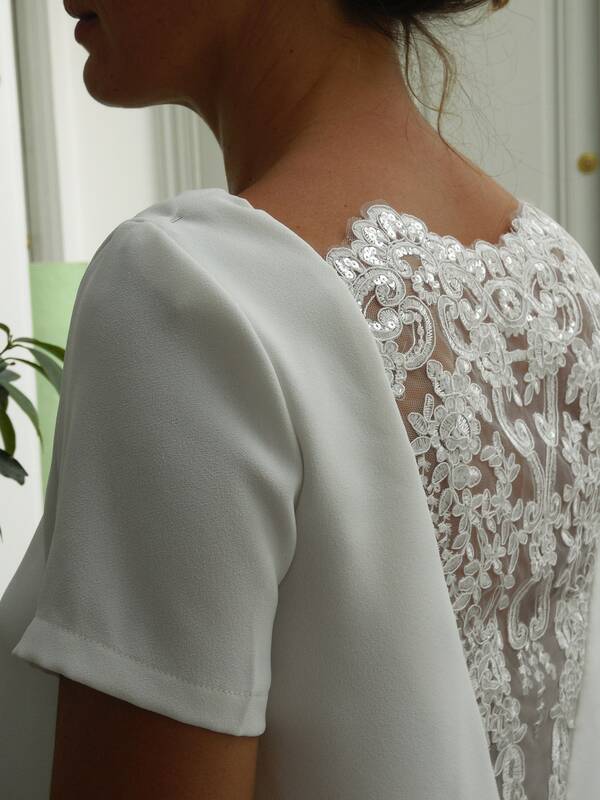 Open back with a beautiful embroidered lace.